I’ve been crafting so much lately that it’s getting harder and harder to keep up with documenting it in this space. I’ve been feeling a lot better these days and I think it’s showing through my art and crafts. I know when I feel low, I tend to not want to do anything creative, but lately, I’ve been doing all sorts of crafty things and it’s certainly uplifting. 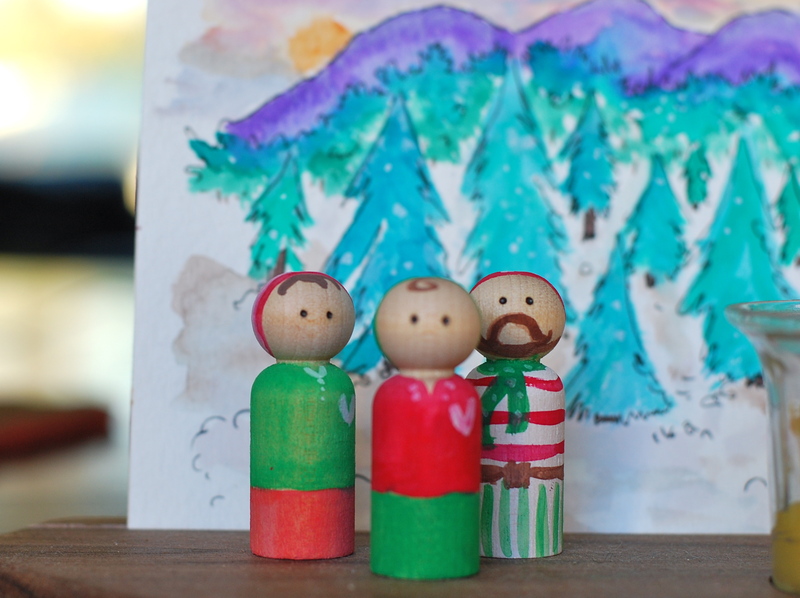 I put the word out on Facebook and through friends and family, and have been inundated with custom peg doll orders (which I’m enjoying immensely). I’ve also been working on stocking my etsy shop with some wintry kindness elves (although it seems I can’t make these little guys fast enough). I put together a couple little softies for some new babies. This little guy is for a wonderful new mama and her little one who has taken incredible family photographs of us every year since Ellie was born. 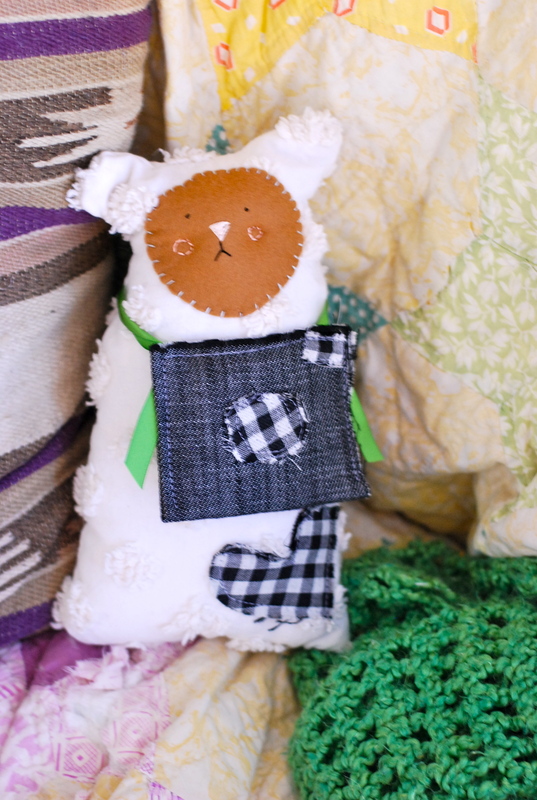 She’s taking our portraits this week and I finally get to meet her little one (I made the softie a little fabric camera too). 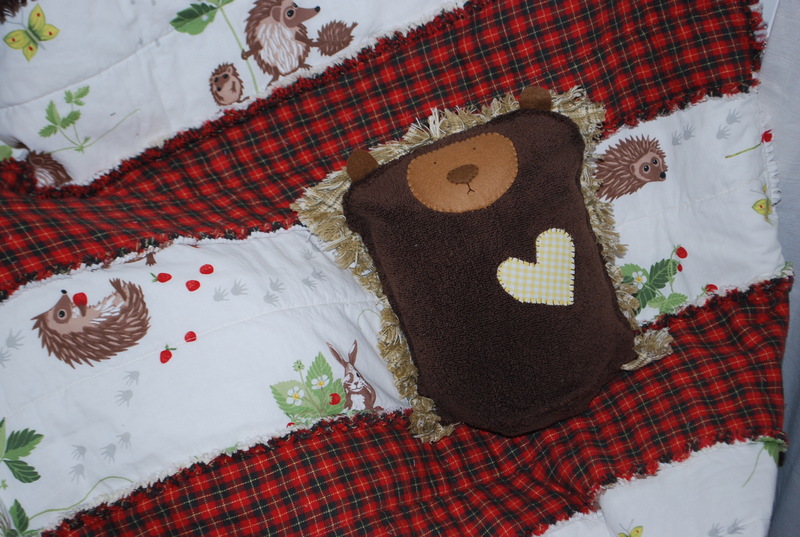 I had my mom make this adorable baby quilt to match the hedgehog softie I made for another friend’s baby. I think the whole thing turned out quite darling and even though, I haven’t gotten to give it to her yet (I’m hoping she’s not reading this right now), I had to share it! This is Cindy. I’ve been trying my best to research how to make Waldorf dolls. I think Santa might just bring Ellie her very own (professionally made) Waldorf doll, but in the meantime, I’ve been piecing this doll together. Her arms and body came out a bit wonky, but what fun she was to make. I even made her overalls out of an old pair of shorts I used to wear. I’m going to keep trying because I’m beginning to really fall in love with these dolls. (I had a slight doll obsession as a child and it already looks like Ellie may be following in my footsteps), so I don’t think she will be upset if more dolls (mama made or otherwise) make their way into this house. 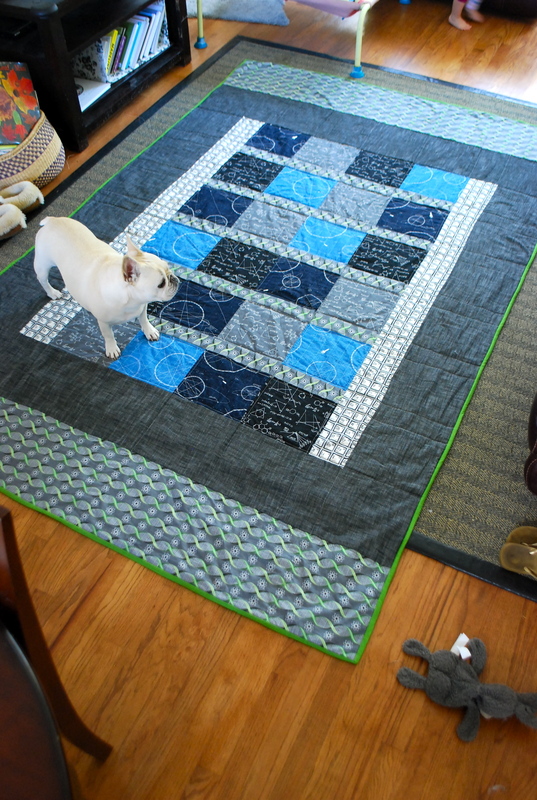 And the biggest crafting completion… Jeff’s quilt! I think I may have talked about this before. But this quilt was a long time coming. I had made Jeff a quilt a long time ago for his birthday, but it has been slowly falling apart and he’s mentioned several times that he’s love another one. 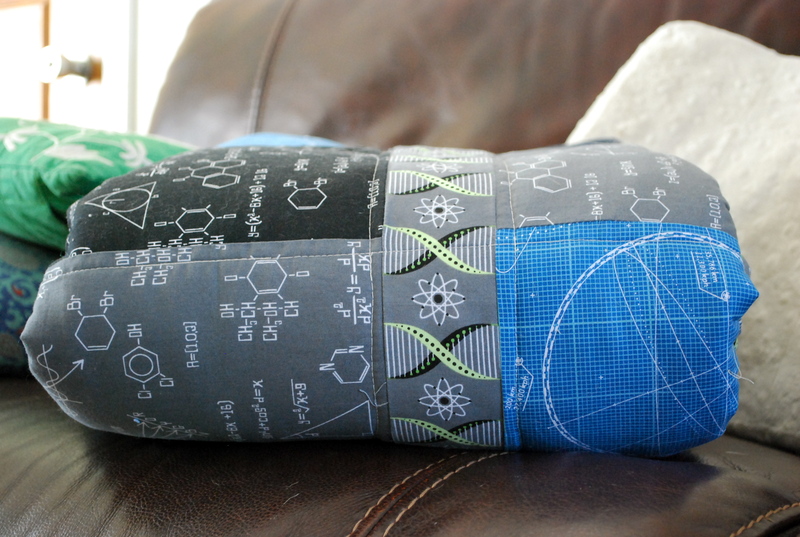 Well, we stumbled upon this math and science fabric one day and he loved it so much, I decided I’d finally make him his new blanket. I took me quite awhile to finish, but I did it. And it turned out wonderfully. He loves it. Loves the length, and it’s better made than the last one (I’ve since improved with my sewing skills). It’s his big, early Christmas gift this year. And I’m thrilled to be done with it! So there you have it. I’ve been crafting away any chance I get. Ellie naps. I craft. Ellie is playing with Gramma and Grandpa, I craft. Ellie is at the park with Dada, I craft. Ellie sleeps, I stay up way too late and craft. I’m back in business and it feels good. 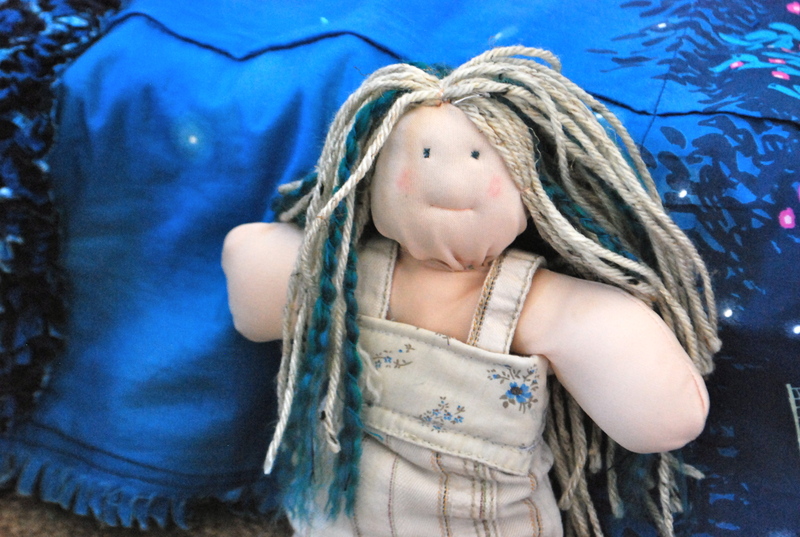 This entry was posted in Uncategorized and tagged crafting, jeff's quilt, making, november 2014, peg dolls, softies. Bookmark the permalink. This post makes me so very happy 🙂 The quilt is gorgeous. Wow! You need to open a crafts store! Great works! Everything you said makes us all happy too. 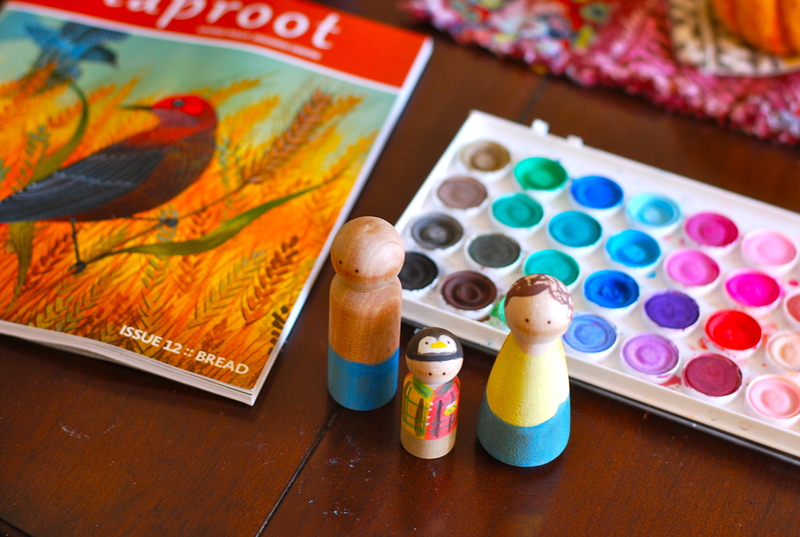 Thanks for a lovely Thanksgiving blog and for showing us all the wonderful crafting results. Remarkable!